AIZAWL, Oct 4: The NGO Coordination Committee, a conglomerate of major civil society organisations and student bodies of Mizoram, today warned that Bru families, who were “stubbornly reluctant” to return from Tripura during the repatriation exercise, should not come back to Mizoram after the end of the deadline. 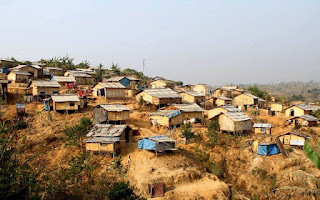 The repatriation of over 32,800 Bru people belonging to 5,407 families lodged at six relief camps in Tripura, which began from August, expired on September 30. During the two-month-long repatriation process, only 30 families returned to Mizoram. Vanlalruata, chairman of the NGO Coordination Committee, said that a meeting of major civil society organisations took a resolution that “stubborn” Bru families should not return to Mizoram after the deadline. They also asked the Centre and the governments of Mizoram and Tripura to act according to the “quadripartite agreement” reached on July 3. The committee appealed to the Mizoram Government to honour its promise and take immediate action in deleting the names of Bru voters living in Tripura from the Mizoram electoral rolls. Earlier, the State Government had stated that the names of all Bru voters, who are reluctant to return to Mizoram, would be deleted from the State’s electoral roll.